CAMRA (Center for Advancing Microbial Risk Assessment) gathers a community of scientists that investigate several stages in the life cycle of biological agents of concern. 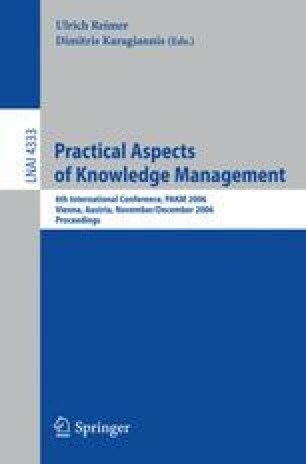 This paper describes the knowledge management (KM) approach adopted for CAMRA’s community of scientists. The approach includes knowledge facilitators, a web- and repository-based KM system, and use-centered design. The approach relies on a KM methodology that addresses the most common causes of failures in KM approaches that was complemented with a use-centered design methodology. The resulting combined methodology represents a unique way of implementing KM to promote knowledge sharing and collaboration. We describe the principles in our design and the initial steps undertaken to implement it for CAMRA. We conclude by laying out our future steps.